​Chelsea attacker Callum Hudson-Odoi became the youngest player to make their competitive debut for England's senior team since Duncan Edwards in 1955 following his appearance from the substitutes bench in the Three Lions' 5-0 win against the Czech Republic. The 64-year-old record was broken in the 70th minute of England's European Championship qualifying opener at Wembley on Friday, as the 18-year-old replaced hat-trick hero Raheem Sterling. As reported by ​Goal, Hudson-Odoi beat former ​Manchester United forward Edwards record by 48 days, as he achieved his first cap on Friday night at the age of 18 years and 135 days. The winger had been called up to the senior squad from the Under-21 side following a succession of withdrawals from manager Gareth Southgate's original squad for the matches against Czech Republic and Montenegro. The youngster also made an impact during his first senior outing for Gareth Southgate's side, playing a key role in their fifth goal of the match as his late effort was saved by Czech goalkeeper Jiri Pavlenka onto Tomas Kalas. 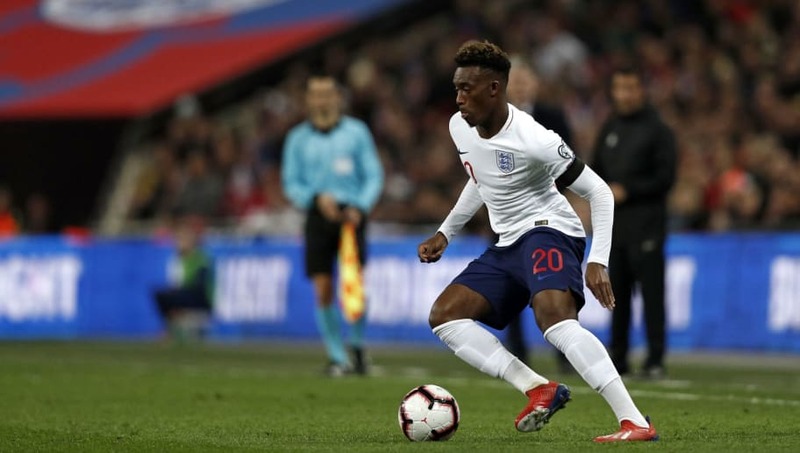 Hudson-Odoi was one of two 18-year-olds to finish the match for England on Friday night at Wembley, with ​Borussia Dortmund's young prodigy Jadon Sancho also forming part of a youthful attack. It was the first time that two players aged 18 or younger have played in an England international since a match against Wales in 1881. Jadon Sancho marked his fourth senior England appearance by playing an integral role in Gareth Southgate's team's sizeable victory, setting up ​Raheem Sterling's opener in the 24th minute of the match.